Introducing the 4th version of the race-ready MR-03VE PRO Series in nostalgic MR-02 colors! 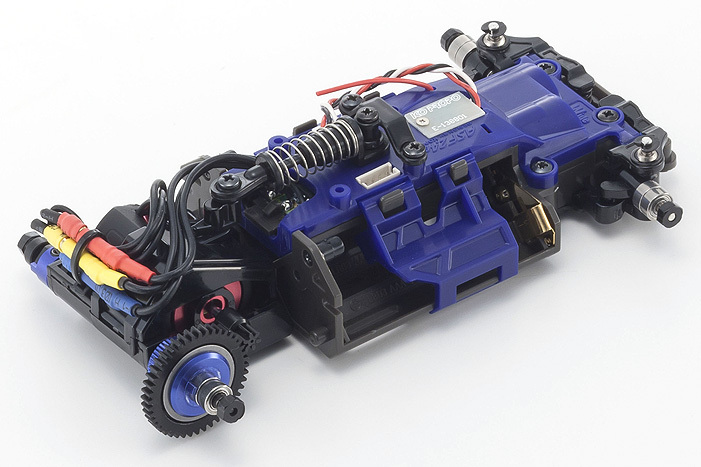 Meet the 4th version ‘02 Color Limited’ MR-03VE PRO Series chassis set which incorporates the ultra-fast response of the MHS (MINI-Z Hybrid Spread Spectrum) 2.4GHz system that is 16 times faster than the previous ASF 2.4GHz system + KT-18 transmitter combination and 4 times faster than the ASF 2.4GHz system + KO PROPO EX-1 transmitter combination. The stunning color scheme of the previous generation MR-02 has been revived in this latest version including blue Upper Cover Set (No.MZ502) and Chassis Small Parts Set (No.MZ402) together with grey molded parts in the Chassis Set (No.MZ501) to create contrasting visuals to the straight black of the normal MR-03 chassis. In addition to ball diff and the full ball bearing specs of the existing VE PRO, this new version is also equipped with a gyro unit. The MR-03VE PRO 02 Color Limited is a complete race-ready package distinguished by its limited edition color scheme and is also compatible with existing ASF 2.4GHz systems and can be paired with the Perfex KT-18 and the KO PROPO EX-1 transmitters. 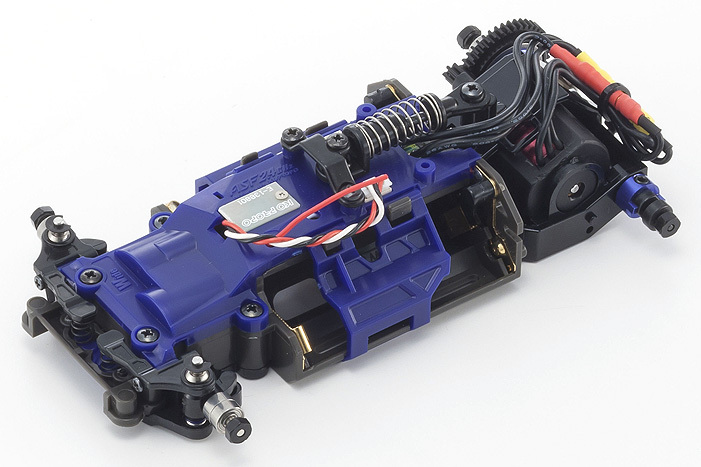 Blue and grey color injection molded parts revive the MR-02 color scheme. Equipped with ball diff and gyro unit, essential for race competitiveness. 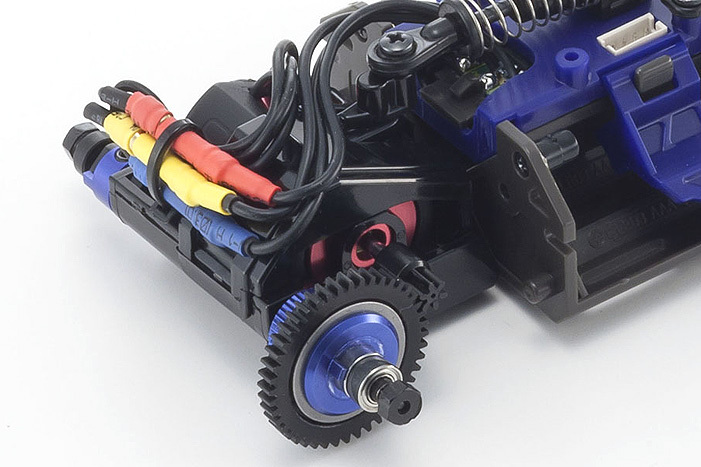 Features the high power and durability of the Xspeed VE brushless motor. Take advantage of the extended RPM range and flat torque feel. Ball diff ensures smooth cornering and reduced stall compared to the standard diff gear included in the kit.